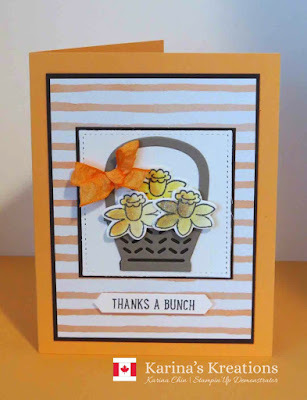 Karina's Kreations: Stampin'Up Basket Bunch Bundle! 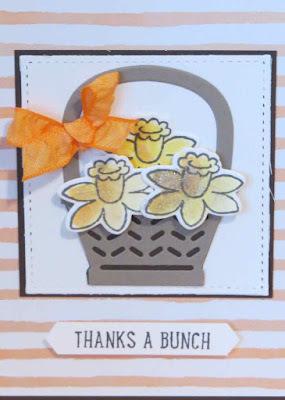 Easter is coming and Stampin'Up has an amazing bundle called Basket Bunch. I wasn't going to purchase this set because I don't make a lot of Easter cards anymore however this sets makes super cute spring thank you cards. I especially love that this set has coordinating framelits. It's so fun to play with!!! I colored my flowers with Daffodil Delight ink, Peekaboo Peach ink and an aqua painter. 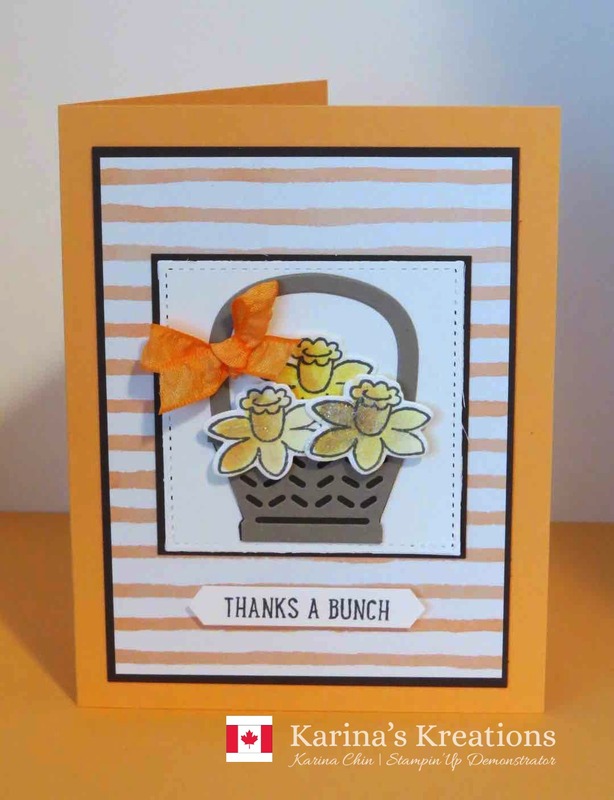 The flowers were stamped with Basic Gray ink on Thick White card stock. I added a little clear wink of stella to my flowers too!